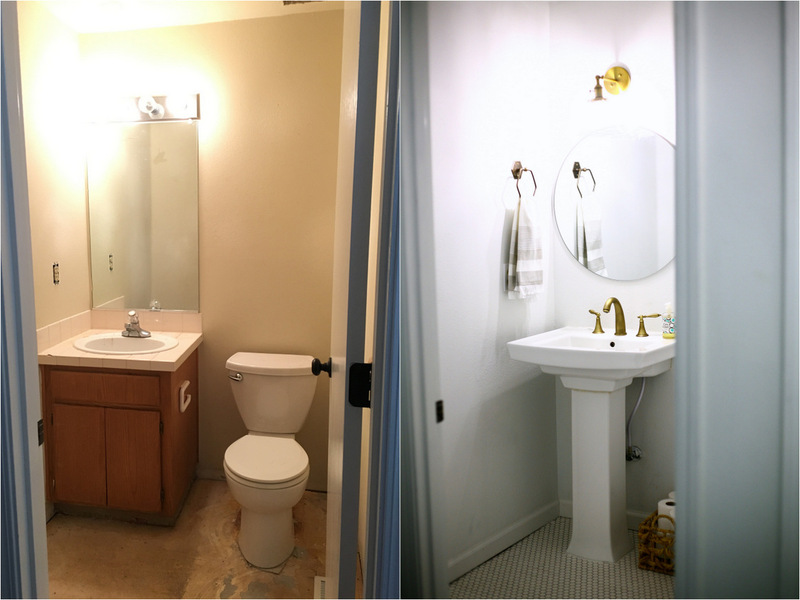 VIDEO: Two bathroom renos in 4.5 days! We are so proud of these makeovers! 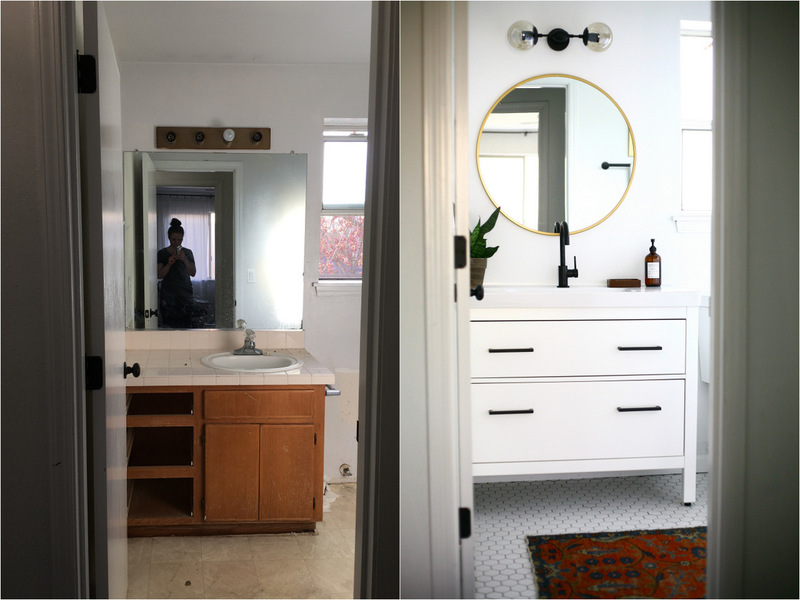 If you've been following along recently, you probably saw some of our bathroom progress on our powder room and guest bathroom makeovers. 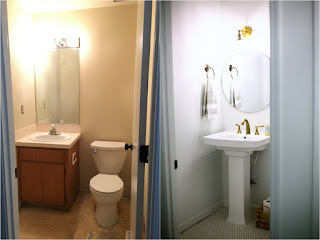 New flooring, new sinks/vanity, new lighting, new toilets, baseboards, everything! We had never done a project that big before (or two at once...) so definitely wanted to document it on video. I put together this video about how we made over both bathrooms in 4.5 days (over 2-3 weekends) and man, watching this sure takes me back!! So much work, but we are SO happy with the products! Here are a couple before/afters for you... but you've really got to see the video! Team effort of me, my husband, my brother-in-law, and both my parents at different times. And it really was more efficient to do two at once--though it was exhausting. I'll share more about the projects including budget and sources next week! In the meantime, here are most of the products below, and FYI our tile in both bathrooms is from Thomas Avenue Ceramics. I'll be sharing more about that later, too, but here's our powder room tile and here's the guest bath tile. They have great customer service and way better prices than the big box stores!